Over the last severalmonths, I have read many news stories and web accounts about rising and falling fuel pricesand how some companies are rediscovering efficiencies by making trucks more aerodynamically efficient. These makeme smile as it reminds me of the early aerodynamic truck studies conductedalmost 40 years ago at NASA’s Dryden Flight Research Center on Edwards AirForce Base. Fuel efficiency in long haul trucks was never much of an issueuntil the first peacetime gas crisis, in the early 1970s. 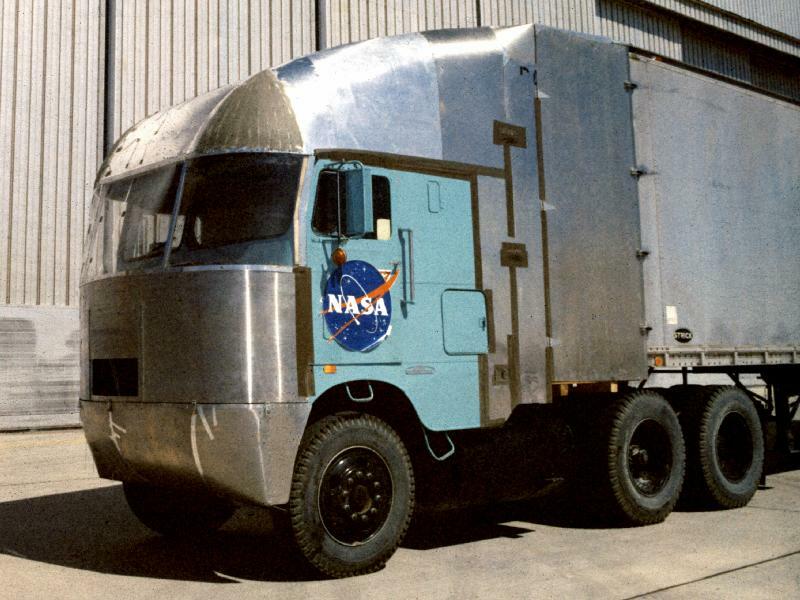 In 1973 anaeronautical engineer at NASA Dryden began musing over ways to cut theaerodynamic drag of over-the-road trucks. He led a small team of researcherswhose results had an extraordinary, if little recognized, impact. The center’s firstexperiment involved a passenger van modified into a driving laboratory. Weattached an aluminum rectangular box to the vehicle—hence the nicknameShoebox—and over successive experiments, changed elements of the box.We rounded the vertical and horizontal corners, sealed the entireunderbody including the wheel wells, and even added a “boat tail” tothe rear of the vehicle, finding out what benefits each had on the overallaerodynamic drag. 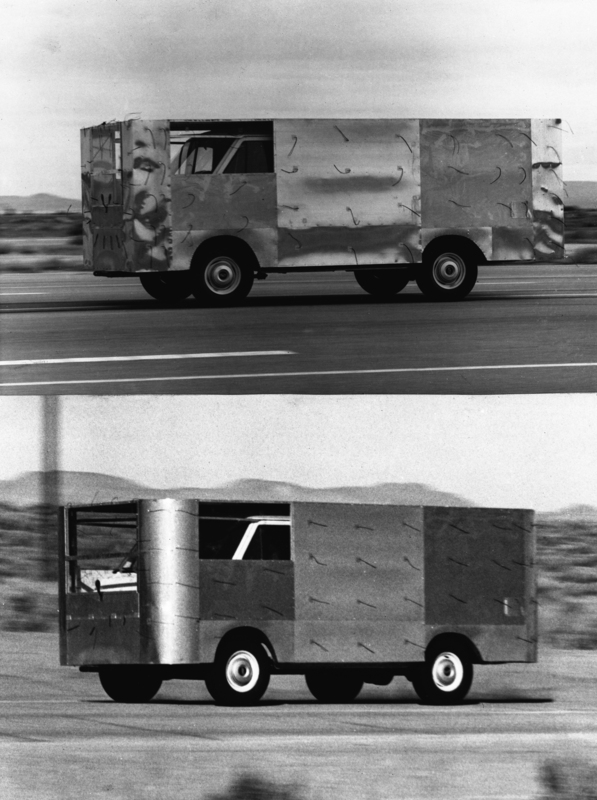 Road tests of the Shoebox, with rounded vertical andhorizontal corners front and back, lowered the vehicle’s aerodynamic drag by 54percent. Sealing the van’s underbody and wheel wells reduced drag another 15percent. Road test showed a mileage increase of between 15 and 25%. Mileage mayvary, of course, depending on conditions and styles, which is why Dryden’sengineers were fond of testing outside of wind tunnels. Image at right: 1970s van fitted with square corners, top image, and round corners bottom. Tufts of yarn attached to the sides of the van indicate air flow around the vehicle. Our second experiment wasconducted on a cab-over-engine tractor-trailer, again modified by rounding allof its front corners and edges. In addition, technicians attached sheet metalfairings over the cab’s roof and sides, reaching as far back as the trailer;this completely closed the open space between the cab and trailer. While stilllooking like a tractor-trailer, it was a radical departure from anything on theroad in the 1970s. Researchers found that in highway driving at 55 miles perhour, these changes resulted in 20 to 24 percent lower fuel consumption over anidentical but unmodified tractor-trailer they tested against it. At the time of NASADryden’s research, which extended off-and-on until 1982, the majority oflong-haul tractors were cab-overs. 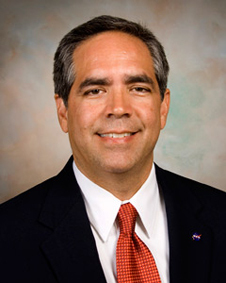 This was because the Federal Aid Highway Actof 1956 – formally known as the National System of Interstate and DefenseHighways Act – placed a limit on the length on the total vehicle. Image to the left: As depicted by this 1975 image, sheet metal is attached to a heavy haul truck rounding the front corners of the truck and adding a fairing between the cab and the trailer of the truck. The Surface TransportationAssistance Act (1982), which came primarily in response to the impact of thegas crisis on the trucking industry, required states to permit trucks withtrailers as long as 48 feet on both interstate and intrastate highways, andeffectively ignored the tractor altogether. This small detail of the bill wasresponsible for the shift from cab-overs to conventional engine-in-fronttractors, a much more fuel-efficient design because of its shape. In 1985 Kenworthintroduced the T600, the first tractor manufactured with factory-built fairingsthat reflected the empirical research done at NASA Dryden. It is encouraging tosee the continuing improvements to the shapes of both tractors and trailerstoday, all of which reflect research conducted at Dryden at the time orperformed at three universities under Dryden’s guidance. When you consider that trucks transport everything we consume or purchase at some point, whether it be clothing, food, water, and all other basic necessities of life, this is ground breaking technology from which we have all seen profound benefits.